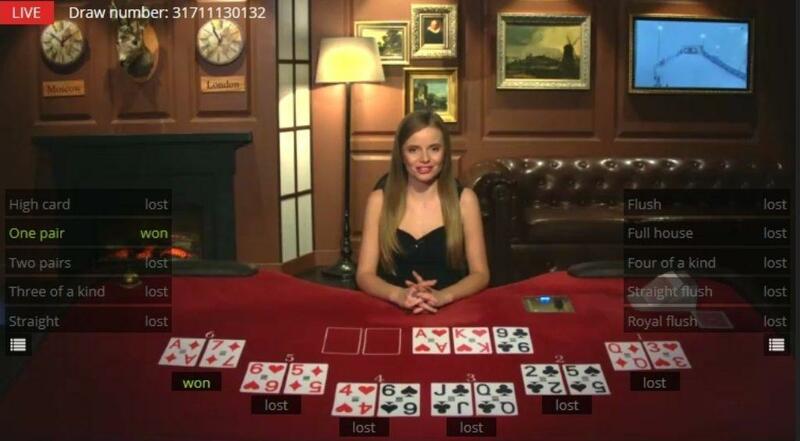 BetgamesTV is a privately held Lithuanian company developing and distributing the live casino soft. The company is one of the latecomers as first of the products appeared on the market in 2012 (and the first live dealer casino solutions were created in the late 90s). However, the Lithuanian enthusiasts managed to earn a place in the sun and our today’s post is about their success story and 5 best games. BetgamesTV is one of the smaller gambling soft providers (up to 200 employees) with the main office in Vilnius. The team is working exclusively on developing live casino games and offering B2B solutions. 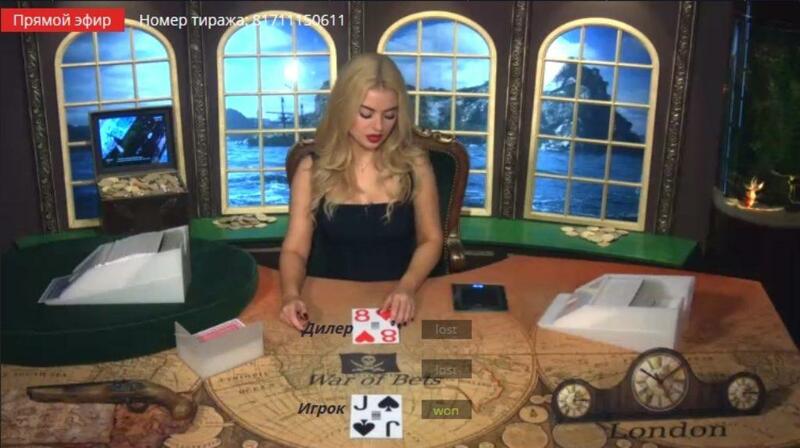 One of the main advantages of BetgamesTV is a unique set of games — a combination of popular table games and lotteries (even the industry leaders like Microgaming or NetEnt don’t have such an ace up their sleeves). Another piece of good news for the operators is that the company appears not only on EU market but also in Africa (South Africa, Kenya, and Mozambique), South America (Peru, Uruguay), Asia (Tajikistan, Kyrgyzstan). Now, when you have all the root information about the BetgamesTV let’s move to the 5 best games. The “Lucky 5” is a gambling adaptation of a “5 out of 36” lottery. But if during the classic lottery game you have to guess the winning combination of numbers, the “Lucky 5” has way more betting options. For example, the gambler can bet on not only on the numbers or the colors of the balls that will be dropped but also on the balls that will not be dropped, will the sum of the dropped balls be higher than 92.5, will there be more odd or even numbers and many more. The game offers 95 options in total! Even a cat could win if the chances are so high. The gameplay is super easy as well. One draw has one betting round. The draws run every 5 minutes (4 minutes for the betting round and 1 minute to broadcast the draw). When the draw begins the gambler will see an empty game machine where the balls will be put and mixed. 5 of the balls will be chosen and will form the winning combination. The ball to the left is considered to be the first, the one to the right — the last. All the winning numbers will be announced by the presenter and can be found on the “Results” page. “Wheel of Fortune” is a famous Roulette’s younger brother. 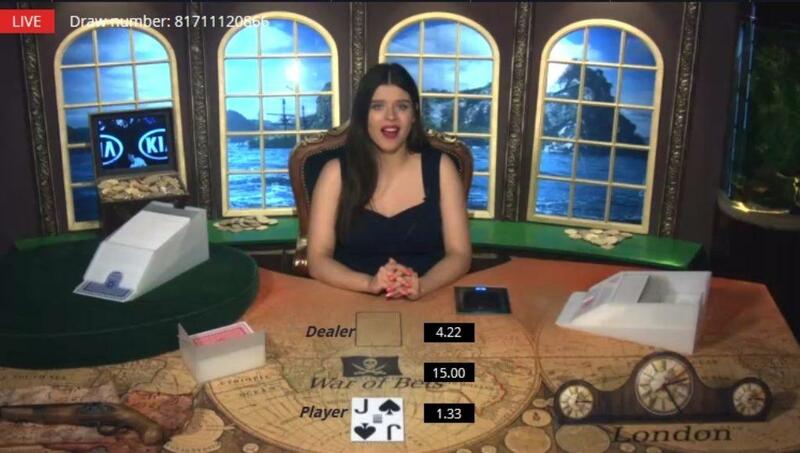 BetgamesTV managed to make this game even more interesting and profitable. The rules are extremely simple: the presenter makes the first spin counter-clockwise and then lightly spins it clockwise so that the wheel could make 3 full spins. 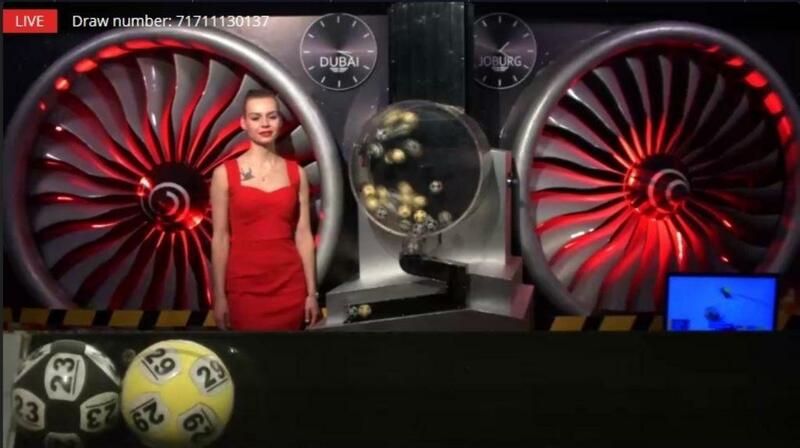 After that, the presenter doesn’t touch the wheel and only announces the winning number once the wheel stops. Each draw lasts about 1 minute (with about 2,5 min betting round). The results and the gambler’s statistics are available on the separate results page in the user’s profile. It could be hard to win while playing “Wheel of Fortune” if the game wasn’t equipped with 20 betting options. The gambler can bet not only on a particular number, but also on even/odd numbers, color, and the number range. Lucky 7 is also a lottery adaptation but now it’s “7 out of 42”. The gameplay stays the same: the balls will be put in an empty game machine and mixed there. 7 of them will form a winning combination. The ball to the left is the first, the one to the right — the last. But there sure are some differences. Firstly, the “Lucky 7” uses only yellow and black balls, which makes all the bets on a color more profitable. Secondly, the game has less betting options (it’s 72) again because of the smaller amount of colors, which helps to place a bet faster. 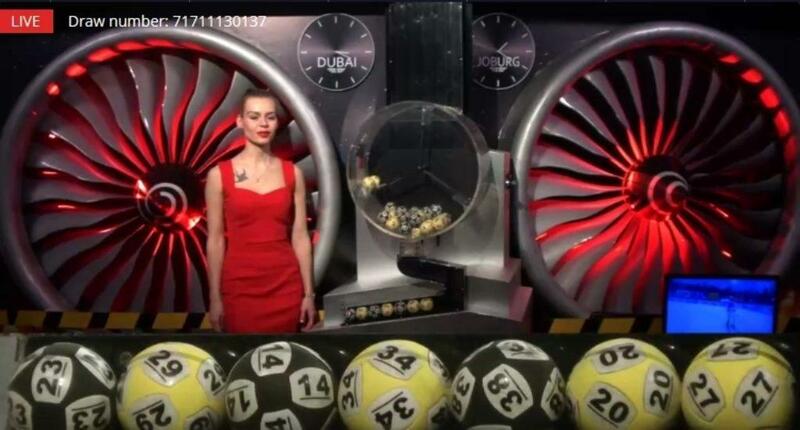 However, the “Lucky 7” has more than enough betting options to choose the most profitable one: bets on odd/even numbers, the sum of the winning numbers, the number (and showing or not showing) of yellow and black balls in the winning combination etc. Plus the pause between the draws is about 4 minutes (usually 4:20), which means the gambler has an opportunity to plan the next bet. 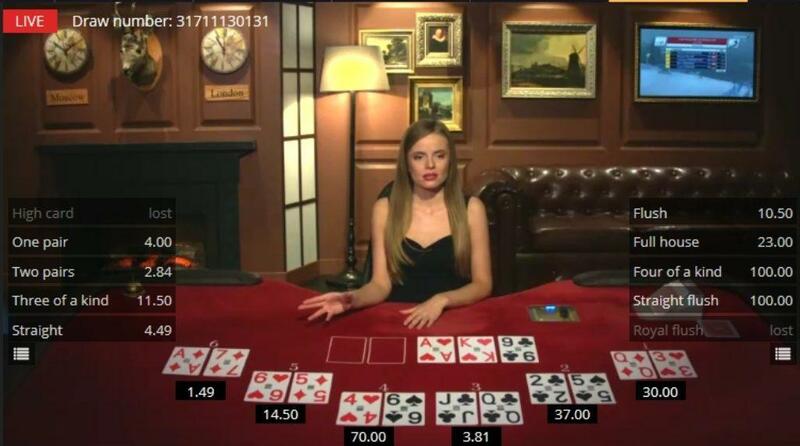 BetgamesTV has an exquisite version of poker, which takes up the second position of our rating deservedly so. Both the poker newbies and the experienced players will enjoy it. The rules of “Bet on Poker” mirror the rules of “Texas Hold’em”. The gambler can bet on one or several positions and one or several combinations. There are 6 positions (hands) in the game and each of those receives two cards (the presenter deals the cards clockwise). After that, the presenter deals 5 community cards (flop, turn, and river) that are used to form the combinations. There are several betting rounds in “Bet on Poker”. The first one starts before the presenter deals the cards to 6 positions. The second one — after each hand has received two cards. The third round starts after the Flop and the fourth is after the Turn. The odds will be updated before each betting round, which helps the user to choose wisely. Another bonus is an opportunity to place unlimited bets on any outcome, which is super useful if the game didn’t turn the way the gambler expected. Moreover, if the winning combination is formed with 5 community cards all the positions win and all punters who placed bets on any hand will get their winnings. Keeping long story short, it’s almost impossible not to win while playing “Bet on Poker”. The easiest table game you can ever imagine! There are a dealer and a player. Everyone gets a card. The one who gets a higher card wins. Ace is the highest card and 2 is the lowest. If the dealer and the player get the same value cards the bets on a tie (a war) win. The “War of Bets” may seem a bit boring but it really isn’t! BetgamesTV has put a lot of effort to make the game exciting and engaging. First and foremost, the gambler can choose from 32 betting options, which include the bets on colors, suits, and the outcome (player’s win, dealer’s win or a war). The second advantage is not one, but two betting rounds. The first one starts before the first card is dealt and the second one is after the player gets his card. The first round bets have no influence on the second round bets, so the chances for the win are even higher! The third bonus is a non-stop 24/7 broadcasting. The gambler can return to the favorite game whenever (s)he wants. Hope that quick BetgamesTV introduction we’ve arranged will work in your casino’s favor. This company’s exclusive offer is noteworthy if for no other reason than its soft is totally different from the traditional live casino games launched in almost every modern casino. BetgamesTV is different and successful. So maybe your casino should use a piece of that success to beat the rivals? Softgamings is ready to take care of all the possible difficulties and the routine. All you need to do is just to book a “Live Casino Bundle” demo to get the access to the best live-games created by 8 top providers (including BetgamesTV). The other advantages of this service include a significant time and cost savings. You’ll need to sign a single agreement to start the quick integration and the cost is way lower compared to the separate integration. More profitable than ever!